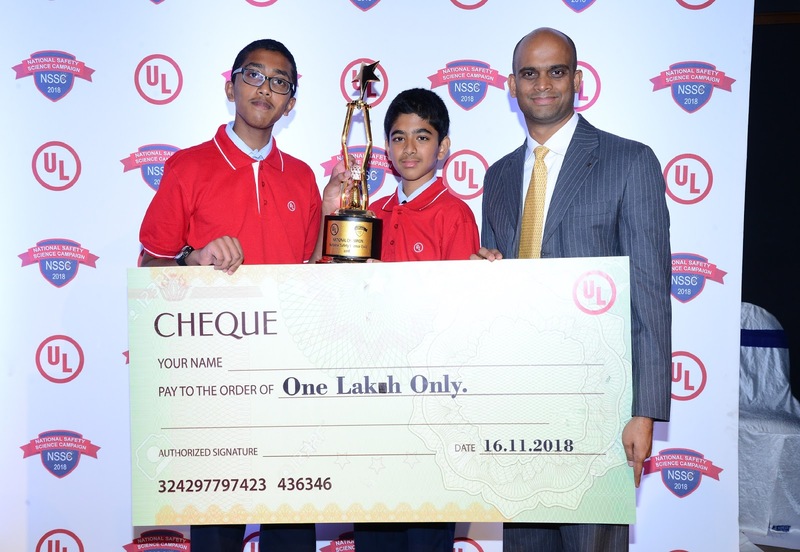 Underwriters Laboratories (UL), a non-profit organization dedicated to advancing public safety,has successfully concluded the first edition of the National Safety Science Campaign (NSSC), a proprietary multi-dimensional programme that seeks to impart the science of safety in the school ecosystem of the country. Held across ten cities in India – Bengaluru, New Delhi, Mumbai, Kolkata, Chennai, Pune, Ahmedabad, Bhubaneshwar, Hyderabad and Jaipur, UL’s NSSC 2018 saw the participation of over one lakh students around the country. As a sustained commitment from UL to groom the next generation of Indians as safety ambassadors, NSSC was scheduled as an all-year agenda. The three-tiered campaign included the National Safety Science Quiz for grades 9 – 12, a poster and slogan contest for grades 5 – 8 and a unique ‘safety club’ programme. The creative and intellectual potential of the young participants were harnessed to instill curiosity and increase their awareness about the facets of safety that are relevant to everyday life such as electrical, road, fire, cyber, environment and food safety. The city finalists of the Safety Quiz faced off each other in a tough fight at the grand finale of the NSSC held at Bengaluru on November 16. The Bengaluru team of Siddhartha .G.V and Aditya . K . Murthy from Sri Kumaran Children’s Home emerged as winners of the Quiz while Vansh Navin Bagadiya_and Raghav Himanshu Gupta representing Nath Valley School , Aurangabad , Rwitick Ghosh and Qasim Ahmad representing City Montessori School , Station Road and Anish Kumar Arun and Aritra Kar representing South City International , Kolkata bagged the first, second and third runners-up positions respectively. Students were eligible for the Quiz after successful completion of an online preliminary test, followed by a zonal round in each city. The online Poster and Slogan contests received over 3500 entries nation-wide. The top 20 posters and slogans were displayed for public voting at the venues of the Quiz zonal rounds in Bengaluru, New Delhi and Mumbai. Among the final entries, slogans like ‘safety first, because life has no reset button’ and ‘it is better to lose one minute of life than lose life in one minute’ were brought to life by students with admirable artistic skill. Given that the purpose of the NSSC involves creating a marked change in the approach toward safety amongst several stakeholders in the school set up – teachers, principals and parents and eventually, policy makers in the education sector, the third leg of the campaign pertained to the establishment of safety clubs in schools. UL will pilot the School Safety Club program over the next three months in New Delhi and Bengaluru, where teachers from nearly 40 schools signed up in a teacher training initiative for promoting safety education in their institutions. Through a combination of theoretical and experiential learning, the safety clubs will train members to view safety as a science. Drawing on UL’s over a century old expertise in safety science, as part of the tool kit, the teachers will be given well-researched worksheets designed to spark and strengthen critical thinking and analytical abilities of the students about various aspects of safety. In the subsequent editions of the campaign, UL plans to gradually increase the scope of the safety club, where students will be trained to conduct safety audits and gain hands-on experience in basic emergency procedures like operating a fire extinguisher etc. 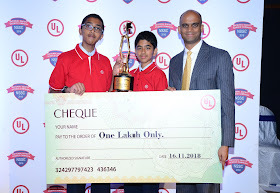 Suresh Sugavanam, vice president and managing director for South Asia and Sub-Saharan Africa at UL, said, “We are delighted with the immense response we have received from schools for the maiden edition of the National Safety Science Campaign and astounded by the creativity and intellectual prowess that all participants have demonstrated. With the positive influence of the internet and social media, today’s students are well informed and also possess multiple avenues of expressing their thoughts. Our efforts are geared toward honing their understanding safety as a science, so that they can become proponents of safety culture in the country”. http://blogspot.siliconvillage.net for more news, features and interviews in business, technology, gadgets related areas.